Coming to SiWC? 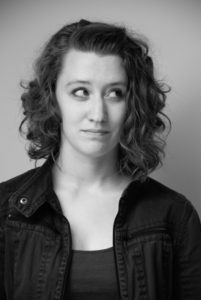 Our conference ambassador, Hayley, has written this post for you. 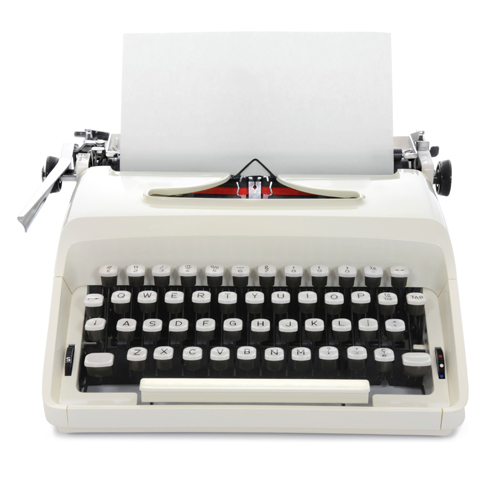 Going to a writer’s conference can be a bit like walking into the high school cafeteria. It’s loud. Chaotic. You have no idea where to sit. Just approaching people can feel like a monumental task. At SiWC, we hope we can make it a little bit easier to connect. If the cold open gives you cold sweats, try reaching out on our meet-up hashtag, #SiWCmeet. Use it to filter through the excitement of the regular conference hashtag and find people looking to connect. 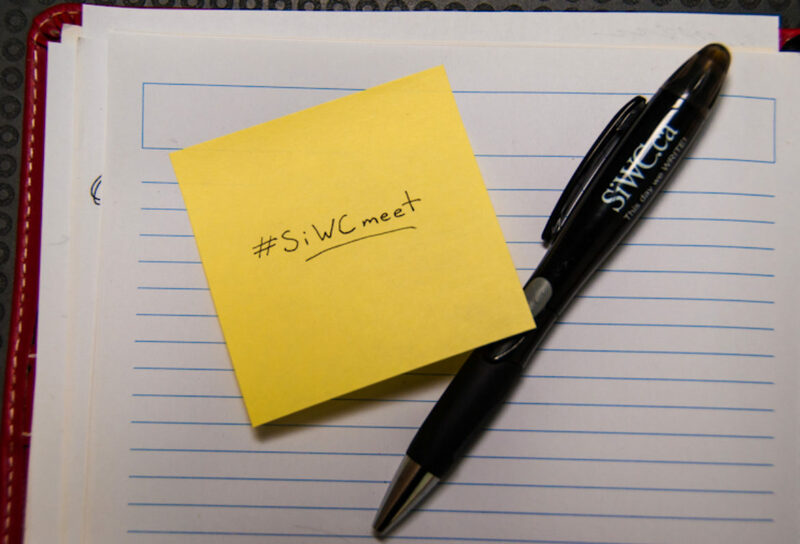 Add #SiWCmeet to your own tweets to introduce yourself, invite other writers to your table, or let folks know you’ve got a free seat in the bar. Me! Your conference ambassador. I’ll be roaming the floor all conference weekend to help you find your feet at SiWC. Got questions? I’m your girl. Nervous about approaching people? Come sit by me. Every day, I’ll share my table numbers on #SiWCmeet, and tweet out photos so you can be confident you are actually approaching the right person. I’ll also be wearing a handy ambassador badge, so you can find me without Twitter. If you see me, flag me down. I’m here for you. If you need a bit more help finding your feet here at SiWC, you can also join us for orientation at 8:30am on Friday morning. 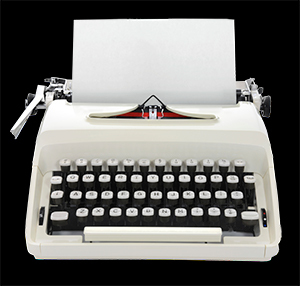 Get a tour of the conference, learn the nitty gritty of how pitch and blue pencil appointments work, and find other writers who are new to SiWC. Whether you prefer to lurk or plunge into the action, SiWC is ready to welcome you! What if you don’t tweet? I feel like this exactly at conferences; I felt very hopeful when I read this – until the tweet part. I’ve never seen a tweet, even. Nor do I ever have a desire to tweet. Tweeting is just the one social media type many people manage while at a conference. At the conference, it’s really all about in-person interaction. Twitter’s a back-up. The easiest way to meet Hayley is to join in the orientation on Friday morning and say hello. After that, you’ll spot her being out-and-about all the time in the building. If you miss that, she’ll be introduced at the morning session. And she has a fancy name tag and you know what she looks like in hopes that’ll all make it easy for you to touch base with her. I didn't even know my comment would be made public. I thought I was getting in touch only with the person who posted this. "New world." Also, early mornings are the middle of the night for me. As Kathy says, orientation on Friday morning is a good starting point for in-person connection. I’ll be showing everyone around the conference rooms, and there’ll be plenty of other new conference-goers there to meet and connect with. After that, I’ll be out and about all weekend with a name tag to help track me down, and I try to have some eye-catching object on hand to help people spot me in a crowded room. If you’re hesitant about approaching tables full of strangers, come sit by me. If you want to socialize in the bar but the prospect of walking up to a group already in progress is daunting (boy do I know that feeling!) come find my table. I will always do my best to make room and welcome another person, or answer any questions you have. If you simply cannot find me, ask the fine folks at the reg desk to help you out. They’ll summon me from whatever arcane location I’ve gotten myself, help you get settled.